Home > Shows > Do I Hear a Waltz? Leona, an unmarried American secretary 'of a certain age,' goes on a vacation to Venice where, under the spell of that enchanted city, she falls in love. The gentleman is an attractive, middle-aged shopkeeper, whose attentions give flight to her deepest dreams of romance. Too soon, however, he openly informs her that he is a contented family man, and Leona's hopes are dashed. She can, for a short time, harness romance, yet realizes that such a relationship would have nowhere to go. Still, might it be better than never having loved at all? This timeless story, which is the basis of the movie 'Summertime' starring Katharine Hepburn, remains a bittersweet testament to the complexities of the heart. Description Tags: Strong Role for a Leading Woman • Roles for Children • Musical Comedy • From the World of Literature • Something Different • Classic Broadway. Cast Size: Small (1-10) • Medium (5-21). Vocal Demands: Moderate. Dance Requirements: Some Dancing Required • Minimal. 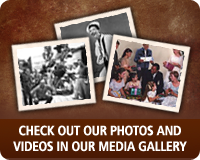 Good For: College/University • Amateur/Community • Professional Theatre. 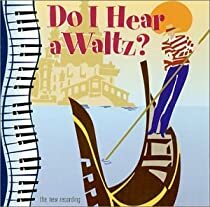 The birthday of Arthur Laurents, book writer for Do I Hear A Waltz? In 1965, DO I HEAR A WALTZ? closed on Broadway after 220 performances. In 1965, DO I HEAR A WALTZ? 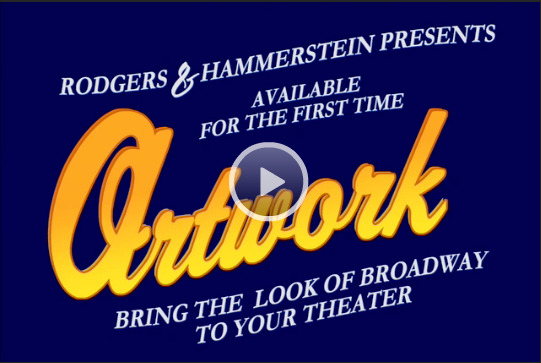 - a collaboration between Richard Rodgers, Arthur Laurents, and Stephen Sondheim - opened at 46th Street Theater (now the Richard Rodgers Theater) where it ran for 220 performances. In 1930 composer and lyricist Stephen Sondheim was born, creator of iconic musicals INTO THE WOODS, SWEENEY TODD, COMPANY, FOLLIES, and many more. 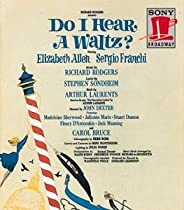 History of Do I Hear a Waltz? When DO I HEAR A WALTZ? opened in New York City at the 46th Street Theatre on March 18th, 1965, it was greeted with special interest because it was the first time Richard Rodgers had collaborated with another lyricist since the death of Oscar Hammerstein 2nd. True, he had written his on lyrics for NO STRINGS in 1962 but here, with the brilliant, young Stephen Sondheim he was working with a brand new partner. Stephen Sondheim (lyricist) won Tony Awards as Best Composer and Lyricist for three consecutive years for Company, Follies and A Little Night Music. All three of these musicals won the New York Drama Critics’ Circle Award, as did his Pacific Overtures. In 1979 Mr. Sondheim received a Tony and Two Drama Desk Awards for his score for Sweeney Todd. His accent to Broadway began with his lyrics for West Side Story, Gypsy, and DO I HEAR A WALTZ? and continued with music and lyrics for A Funny Thing Happened on the Way to the Form and Anyone Can Whistle. 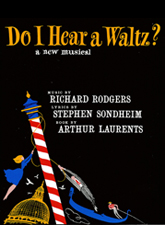 Richard Rodgers (composer) worked with his first collaborator, Lorenz Hart, for twenty-five years, during which time they wrote the songs for 26 Broadway musicals, 3 London musicals, and 9 films. They also collaborated on one night club revue and one non-musical play. Mr. Hart died in 1943 at the age of 48. 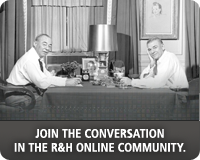 Mr. Rodgers then entered another extraordinary partnership with a man he had known from their Columbia University days – Oscar Hammerstein 2nd, with whom he worked exclusively until Mr. Hammerstein’s death in 1960. Their partnership produced nine Broadway musicals, including Oklahoma!, Carousel, South Pacific, The King and I, and The Sound of Music, as well as one film musical Cinderella. 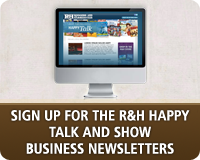 Mr. Rodgers continued to entertain Broadway and television audiences with his music until his death in 1979. An attractive lady has been libeled. For years now she has been called a virgin and worse, and I would like to clear her record. Her name is Leona Samish, the heroine of a play I wrote called 'The Time of the Cuckoo.' She is also the heroine of a movie called 'Summertime.' And now she is the heroine of a musical called DO I HEAR A WALTZ? Why has she constantly been described as a 'spinster school teacher?' She is in her/my words a 'fancy secretary' in advertising -- and always has been. She is not now nor has she ever been a 'spinster school teacher.' Nor the over-age virgin that phrase connotes. What I wrote is the story of a woman who could not give herself emotionally, a woman young enough to have a chance at the future. Leona, the original Leona, has emotion, passion in her which wants to come out. One of the virtues, one of the beauties of the musical form is that passion and emotion can and should come out fully in music. That is a major reason I have always wanted to musicalize 'The Time of the Cuckoo': the real Leona sings. DO I HEAR A WALTZ? takes place in Venice. 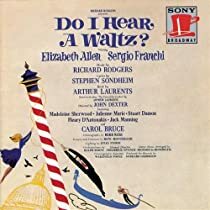 *Currently media rights for Do I Hear a Waltz? are not available. Please contact customer service with any questions.